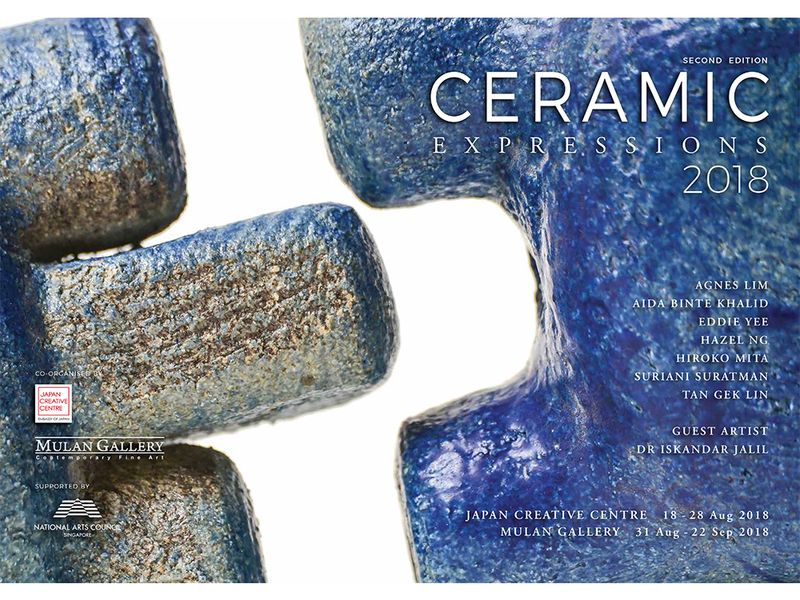 In partnership with Japan Creative Centre (JCC), Embassy of Japan, Mulan Gallery proudly presents the second annual edition of Ceramic Expressions, a group exhibition series showcasing new developments in Singapore modern ceramic art. This year’s edition will feature new works by Singapore-based artists Agnes Lim, Aida Binte Khalid, Eddie Yee, Hazel Ng, Hiroko Mita, Suriani Suratman and Tan Gek Lin, accompanied by guest artist and master potter Dr Iskandar Jalil. The exhibition will run from 18 August to 22 September 2018. Founded to showcase the creativity and versatility of Singapore-based ceramicists, Ceramic Expressions seeks to foster new explorations in ceramic art, firmly placing the development of the artists in their creative journeys front and centre. These featured works include studies in new folds, styles and techniques, each fusing fire and clay, concept and creativity into a potent amalgamation and unique embodiment of a living art.